Anyone know any free, fun online games? WoW is better if you prefer a game that lets you jump in for a quicky and jump out for a few beers. 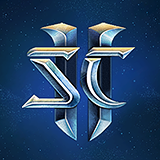 It doesn't require you to plan your entire life around it.SC2 is better if you want a game that demands you spend every moment obsessing over and perfecting every click and keystroke. It's a lifestyle, not a game.Really, I don't see how you can compare the two. http://www.newegg.com/Product/Product.aspx?Item=N82E16834215197looks to very close in spec to the Asus already recommended. Less and slower ram, smaller hard drive and 70$ cheaper. That puts it under your 700$ limit. 06/26/2011 09:18 PMPosted by HypersonicIt always amuses me whenever these Mac vs PC debates spring up.http://www.youtube.com/watch?v=kRPEIo0LLHQMe too. I have the Wintendo for Video games and VisioI have the Mac for Logic and Final CutI use Linux for everything else.